However, brand awareness doesn’t just come to you, it takes time and implementation of right marketing strategies to let your audience know that your products would be the best choice for them. When you have a certain audience of satisfied customers who leave feedback about your brand, you start building trust. The more positive feedback you get from your customers, the higher the probability that more people will come to you. In our era, where pretty much everything can be acquired online, people pay a lot of attention to the reviews left by others who have used your products or services. That’s how they decide whether to buy from you or not - even a few negative reviews can result in the loss of potential customers. Being an SMS marketing company, Textedly cares about its clients and customers and does its best to build trust among them. Customer reviews are highly important for the company as they help it become better, evolve and know the needs of the clients more thoroughly. They prove that the SMS marketing services of Textedly are of the highest quality and highly effective. Over the years of its existence, Textedly has managed to gain a good reputation among its customers and acquired its solid place in the market. The customer reviews found on different platforms are the obvious proof of this. One such platform is Trustpilot where Textedly is in a high position due to the huge amount of positive reviews from its customers. Trustpilot is a transparent platform where you can find honest and genuine customer reviews with star marks. 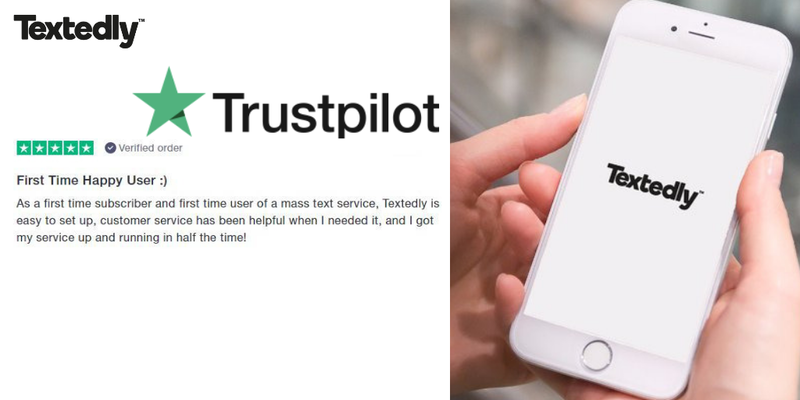 As the company’s CEO, Peter Holten Mühlmann notes: “Trustpilot stars signify that a company has nothing to hide, loves its customers and shares our mission to create ever-improving experiences for everyone.” Textedly respects and appreciates this policy because caring for the customers and being transparent are some of its main principles as well. Every great business needs a dedicated and fully committed team to reach success and build trust and brand recognition. The team members of Textedly work hard every day to provide high-quality services to the customers and to ensure the further smooth performance of these services. The key to the success of Textedly staff is the high professionalism, productive teamwork and love of each employee for what they do. This is why some of the customer reviews at Trustpilot refer to Textedly team and the way the staff members treat and care about the clients, the high responsiveness and helpfulness. Customer Service representative was very friendly and professional. Called to check to see if we had any questions and that was really nice to speak to a live person. Excellent Team, keep up your job. This is a great tool for my business. I can build a new customer base in just minutes and it helps me get out new information to my pre-existing customers. Textedly makes it so easy and simple to use. The features they have are great and the price for this tool is affordable. Easy to use and a great way to keep in touch with customers in a non-intrusive way. They can elect to stop receiving messages at any time, so it puts them in control. All three of our restaurants have benefitted from using Textedly. It's great for promoting food and drink specials and letting customers know about special events. Though we already touched upon this above, it’s worth mentioning this separately from teamwork as well. Textedly’s customer support team is available 24/7 and willing to provide all the required information to its clients. Regardless of your issue, the customer service team is always there to help you solve your issues and answer all your questions instantly. Very User-Friendly and AMAZING Customer Service! Textedly was super simple to set up and very user-friendly! I'm new to using an SMS platform for marketing and have researched a ton of options, many of which required a costly fee or developer to set things up. So finding how EASY Texedly was to use, was a huge WIN! Second, but even more amazing, is their customer service. No matter the time or issue I was dealing with, they quickly responded, gave me direct lines to contact them, answered all my questions, and provided complimentary text messages. Truly great service and company! A great dashboard that is easy to manoeuvre around, monthly fee reasonable, prompt support, and easy to send a quick text blast. Very satisfied! The service is great. The information that you're able to collect from the dashboard is really helpful. Overall, it's been such a good experience that I'm recommending Textedly to all of my clients. Textedly, as compared to its competitors in the field of SMS marketing services, provides the most effective solutions for business growth and brand recognition helping your business not only retain its current client base but also increase it by building trust and reputation. The company is in a leading position in its field the proof of which are the positive customer reviews and the vast number of loyal clients. 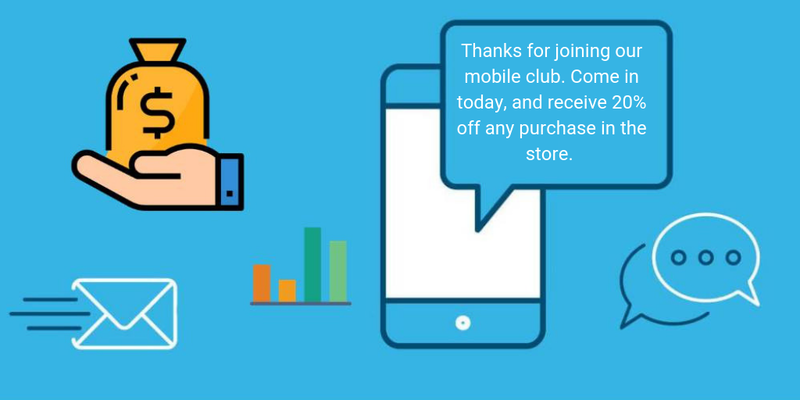 SMS marketing is the fastest way to keep your customers up-to-date on your products and services by advertising, promoting, announcing and engaging with them through their mobile phones. Why is this more effective than, say, e-mail marketing? - The answer is simple: people rarely leave the houses without their phones and they constantly check to see if there is anything new. This is why text messages have such a high open rate, while emails come with a very low open rate. I switched from another company, the pricing was perfect, it's so easy to use and I get a great response from my listeners. Cheaper than the alternative. Works great. Easy to get the word out to my consumers. Not much else needed. As it becomes obvious from the reviews, the customers have preferred Textedly over other alternatives due to the beneficial features that the company offers. If you are still in two minds as to what company you should outsource your text messaging campaigns, don’t think twice - contact Textedly team right away and enjoy the high-standard service and the great results that will come with it. Try out Textedly’s free 14-day trial to understand the way the company’s SMS marketing services work and how they will help your business growth, brand awareness and client retention. Your business’ success is just a few clicks away!